This statistic depicts the moral view on gambling in Great Britain in 2013. 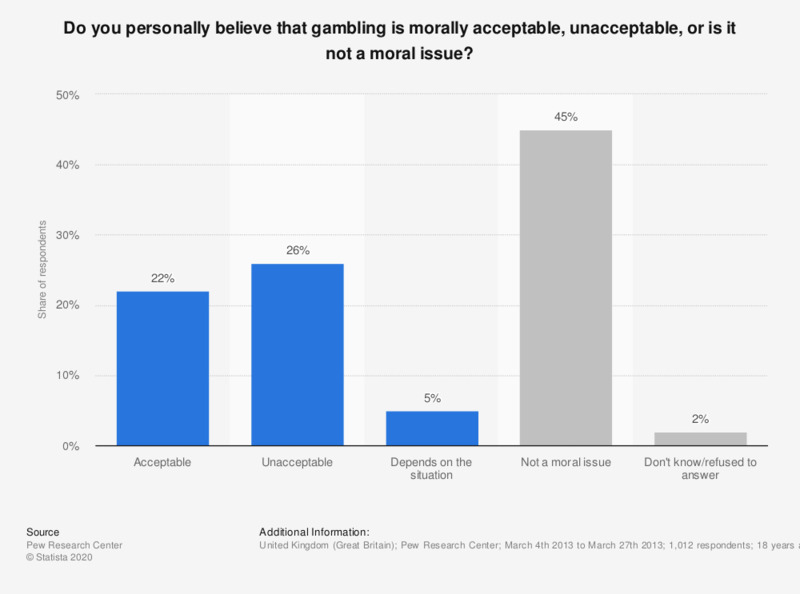 Of respondents, 26 percent said that they think it is morally unacceptable to gamble. Five percent believed it depends on the situation.